Ok, you’re really cutting it fine now. BUT, never fear, the trusty subscription box is there to come to your rescue. Bacon. Through. The. Post. Guys! It doesn’t get much better. 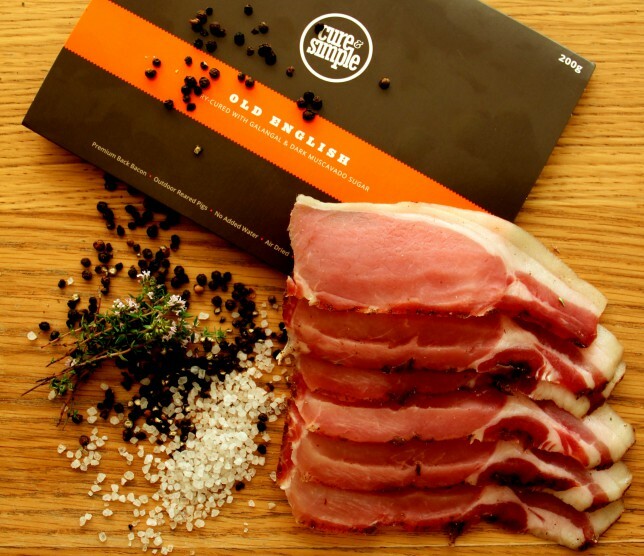 You can either buy original cured packs, those flavoured with bespoke mixes like thai spices, pancetta with thyme & sage, bourbon and old english, or a mixture of all. Select how many packs you want to buy (4 for £23.80, 6 for £35.70 as a guide), pick the ‘Merry Crispness’ gift card – and when you give the gift, your loved one can select whether they want the delivery weekly, bi-weekly or monthly. Hobbs House Bakery was established in the Cotswolds in the 1920’s as a family business, and now has five generations of baking experience, from legendary sourdough to amazing burger buns & sweet treats. With an awards list as long as your arm, you can now get your mitts on their brownies from the comfort of your own home. 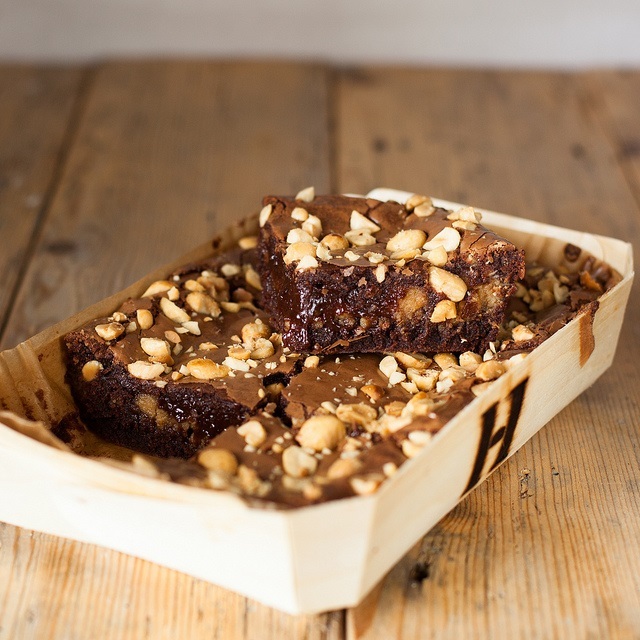 The bakery’s brownie club subscription is £52.50 for a four month subscription, where you get a different tray of mouthwatering brownies each month. These are no ordinary flavours though, we’re talking chocolate orange, peanut butter (show above) and honeycomb delights. If you’re more of a cake fan, they also run a cake club, which is £80 for six months – and you get a tray of brownies or cakes each month. Enough to serve six amply. I started my subscription to Flavourly back in August, and haven’t been disappointed with a single delivery. It arrives once a month, full of products from over 500 of the best artisan producers in the UK – all of which are small-batch independents. 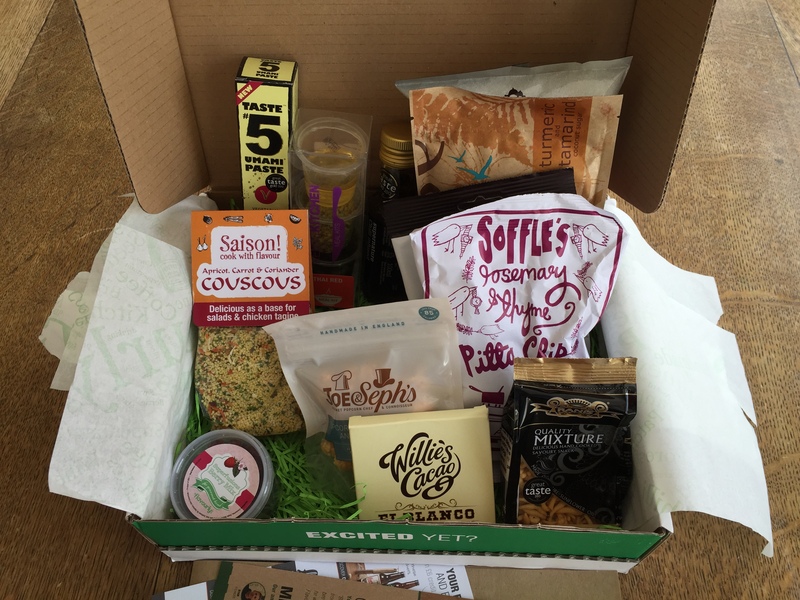 At £17/month plus P&P (which drops to £16 when you sign up for a three month subscription, £15 for a six Month and just £14 for a year), you get sent a box PACKED full of 12 amazing snacks or ingredients. The sign up process allows you personalise your selection, choosing whether you’re vegetarian, if you prefer to cook from scratch or keep it simple, savoury or sweet, which snacks you prefer, your preference of drinks, spice levels and more. You’re then offered up a ‘Better for Snackers’ box or a ‘Better for Cooks’. Pomora is a new premium olive oil subscription service with a difference, which makes an ideal Christmas gift for food lovers. Adopt an olive tree on behalf of your friend or loved one this Christmas and you’ll be giving them quarterly deliveries of some of the finest Italian olive oil they’ll ever taste, while also supporting hardworking, highly-skilled olive growers and offering them in insight into the craft of olive oil production. To be honest, this is my favourite on this list. I love the ‘adoption pack’ idea, and the updates you get directly from your farmer of choice (Antonio or Carmelo). Shipment one brings you Olio Nuovo, the youngest, freshest olive oil that’s bottled directly after harvest. Shipment two brings three flavoured oils (lemon, chilli and rosemary), number three brings extra virgin olive oil, and the last of the year gives you seasonal flavours; basil, garlic and white truffle. Adopt a tree for £29 a quarter (minimum of 2), or ‘foster’ for £39 for one shipment. 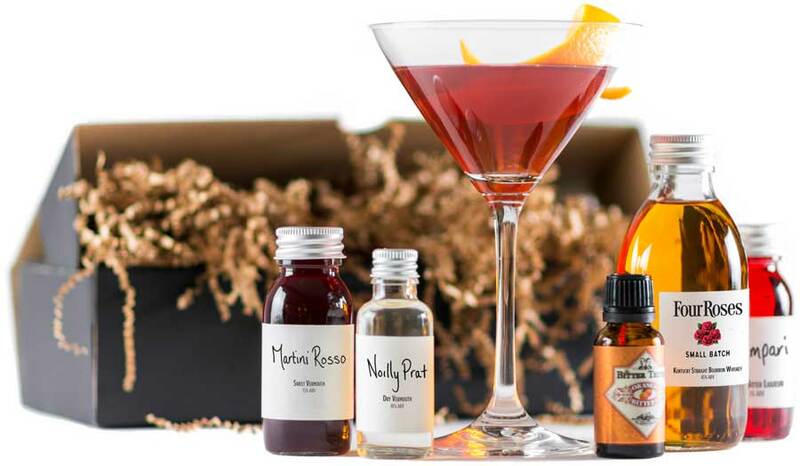 Shaken creates cocktail boxes containing all the ingredients and recipes you need to make fantastic drinks at home. I’m a particular fan of their Explorers’ Club — which is a different box delivered to your door every month and is the perfect way to discover drinks you never knew you loved. Each month you get all the ingredients you need for four bar-strength cocktails and a nightcap, each focusing on a different spirit; from gin, whisky and rum to the more unusual, with two cocktail recipes each month to boot.